Kojou-en is located in Kyoto about 800m to the west of Toji Temple. The Toji Temple can be easily reached by bus or by a moderate walk from the Kyoto JR station. Kojou-en is one of the nurseries I had been meaning to visit for a long time. I first visited here in 2007 but the nursery was closed. Since then i have been wanting to come back and see the bonsai that I glimpsed through the fence. The day i chose to visit this trip was also not ideal. Kyoto received a huge dump of snow during the corse of the day and as a result most of the bonsai were shut up in enclosures protecting them from the cold. 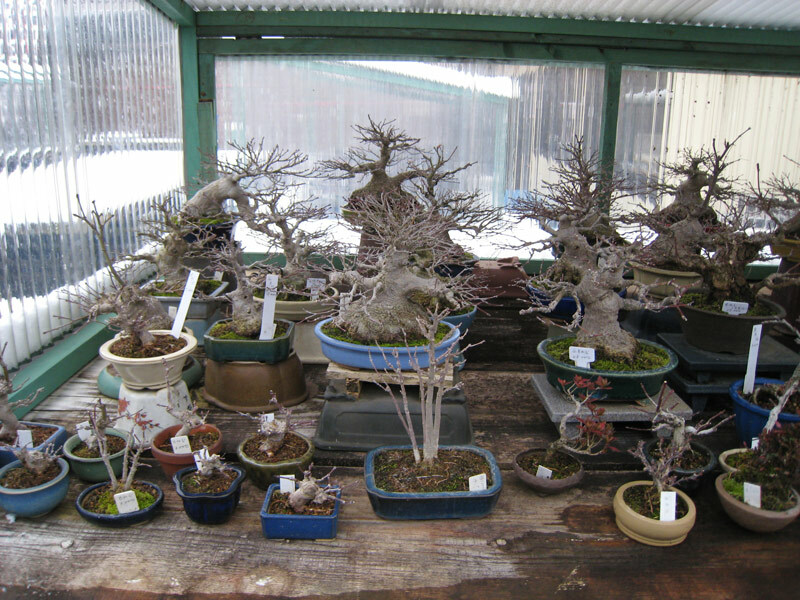 I did get to see a few of the bonsai but I think a 3rd trip will have to be in order to see the nursery in the full. 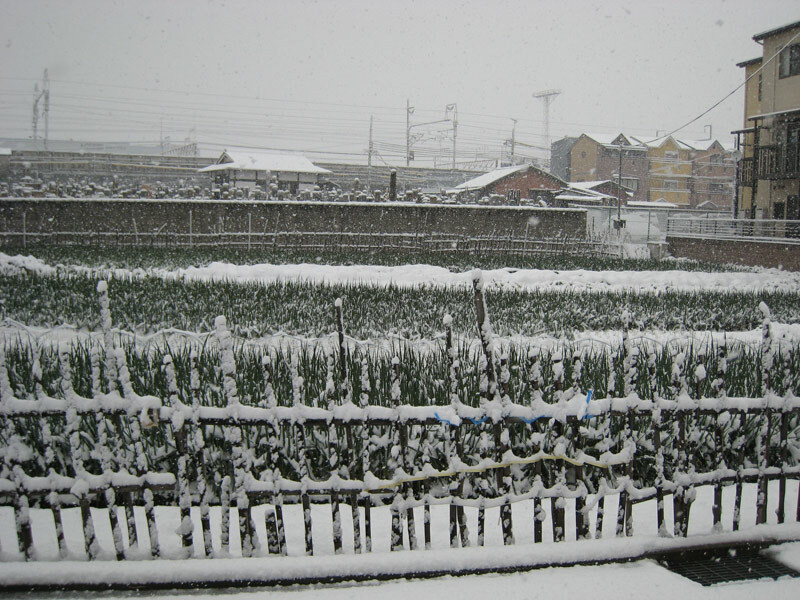 Snow fell heavily all day and by the evening around 20cm had fallen. According to the owner of the nursery this was quite unusual for Kyoto. The fromt gate. 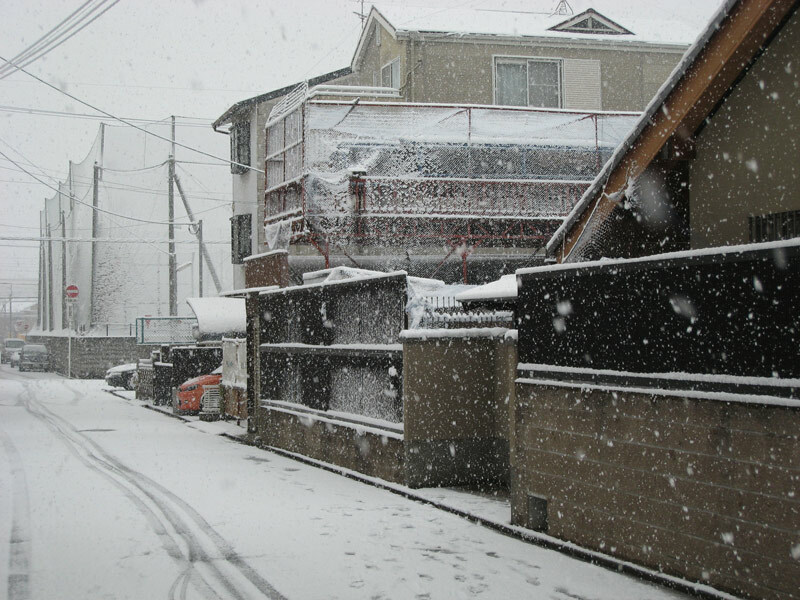 Kojou-en is located in amoungst many residential buildings. It can be a little hard to locate the first time. 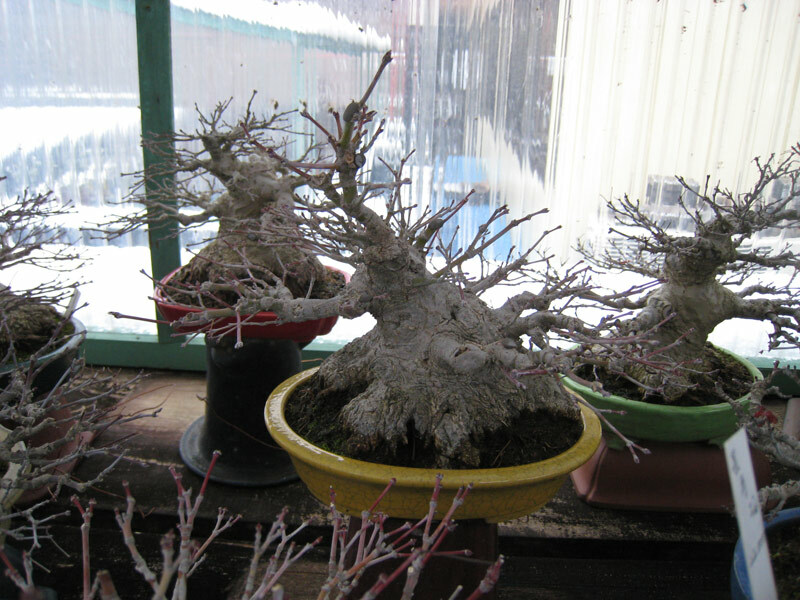 Kojou-en is known for its shohin bonsai, in fact there were no bonsai other than shohin in the nursery. They also had a nice range of shohin pots that were also for sale. Some of the nice shohin that I was able to photograph. Huge bases in tiny pots. 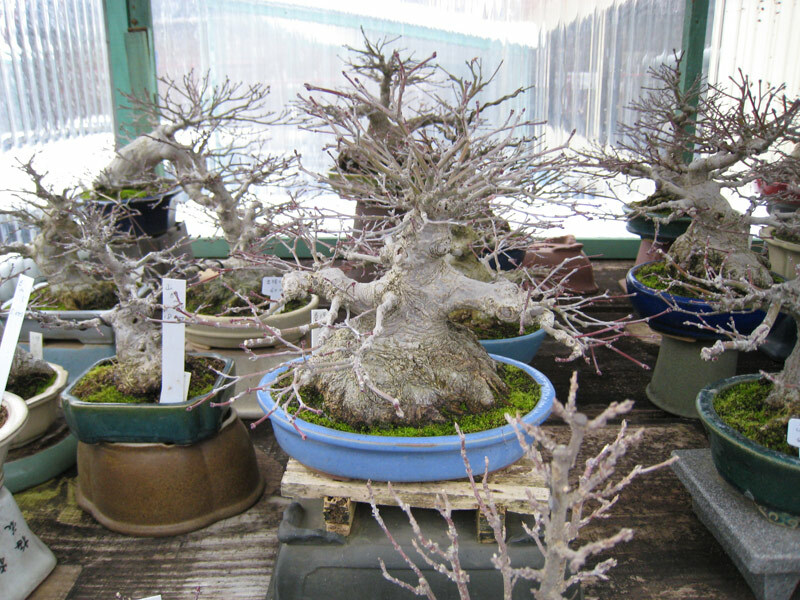 More bonsai sheltering inside their winter enclosures. Kojou-en is well worth the visit and it is easily included in a Kyoto sight-seeing day. I will definitely be back to take it all in next time and hopefully my luck will be a little better than my last two visits. If you would like to see more photos from this visit have a look HERE at my other blog.